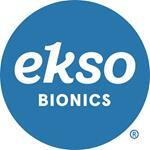 RICHMOND, Calif., Sept. 26, 2018 (GLOBE NEWSWIRE) -- Ekso Bionics Holdings, Inc. (NASDAQ:EKSO), an industry leader in exoskeleton technology for medical and industrial use, today announced that Jack Peurach, President and Chief Executive Officer of Ekso Bionics, will present at the Cantor Fitzgerald Global Healthcare Conference in New York City at 10:20 am ET on Wednesday, October 3, 2018. Mr. Peurach will provide a company overview and corporate update. A live and archived webcast of the presentation will be available on the investor section of the company’s website at: www.eksobionics.com.